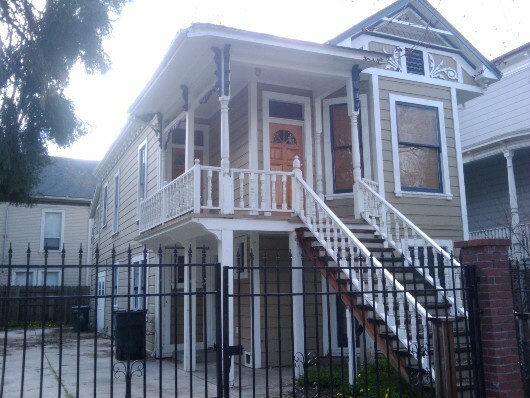 Would you buy Dorothea Puente’s House? 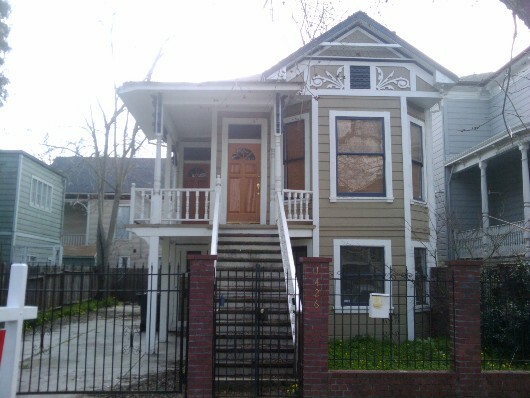 Last Friday the Sacramento Bee came out with a story that Dorthea Puente’s old house at 1426 F Street in Sacramento would be going up for sale. Who is Dorethea Puente, you ask? 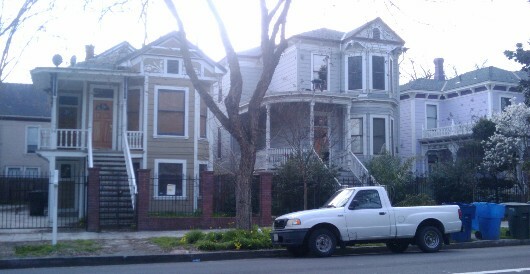 She is a woman who ran a “boarding house” in the 1980s out of her Sacramento Victorian duplex. 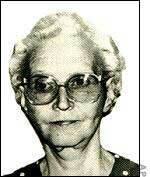 Unfortunately though instead of finding respite her tenants were drugged and murdered so their social security checks could be cashed. Eventually seven bodies were found buried in Dorothea’s backyard. Would you have any problems purchasing a property like this? Or would you consider renting this house? Would it bother you on any level or be no big deal? Creepy? Good investment? If you are a real estate agent, have you had experience selling a property with a stigma due to a murder, violent crime or some other heinous or notorious issue? I had to appraise a property several years ago where the owner had committed suicide. We are always told that the stigma will affect the sales price but try as I might, I could not find market evidence of this, so no adjustment was made. I guess it would probably depend on where it was at as well as other factor too. Good post. It sounds like you did the right thing, Tom. Maybe in your market for that property, it just was not a big deal. I would be surprised if there was no reaction to the Puente house here though. Who knows though? We’ll see. Years ago when my wife and I were house hunting, we looked at a house where there had been a suicide. We felt so bad for the family and their situation, but ultimately we felt that we wouldn’t purchase the house because we didn’t want to have to explain to our kids what happened in the house and where it happened too (or to have neighbors inform our kids). For us, we would not have paid market value for that property because of the stigma in our mind. That poor family. Ryan, I have two similar anecdotes from the Philadelphia area. The first one involves a mansion where a doctor who was losing his wife to cancer decided to kill her (a la Jack Kevorkian) and their 4 children. The property has sold three times since the incident. At the time of the first sale, the MLS mentioned the history of the house and what occurred there. Subsequent listings have not mentioned the incident since, it was understood that there was not longer a stigma since the property did sell after the murders. I personally would have an issue living there. The second also occurred in the Chestnut Hill section of hiladelphia. I was appraising a resident with a carrige house apartment above the garage. When inspecting the carriage house I notice that there was a roofer making some repairs and a painter and a floor guy also working at the property. It seemed odd that they were all there at the same time. So I asked the painter what was going on. Well, apparently, the tenant living in the carriage house wasn’t having a great year. He decided to end things with a 12 gauge shotgun…thus the hole in the roof, the need to paint the room and refinish the floors. It’s understandable to see a stigma disappear or lessen over time. That’s a great point. Thanks for sharing your examples, Michael. That must have been a bit eerie to see the roofer and floor repairman there at the same time. I’m paying careful attention to the Puente house to see if there is any sort of recognizable stigma. Most people I have talked with have had a negative reaction to the idea of buying this property. Puente was convicted in the early 90s too, so the crimes were not that long ago. 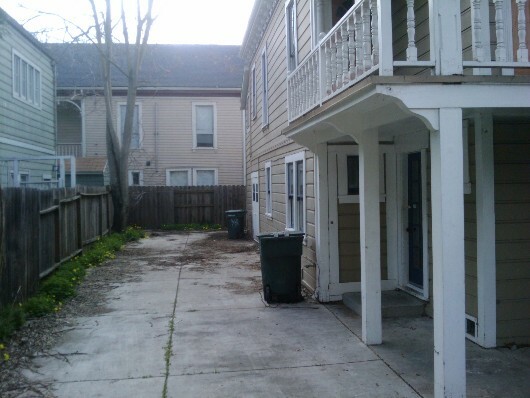 However, one thing that sets this property apart is that it is a duplex, so will an investor care? That’s the real question. I walk by the house all the time at lunch and was looking for the address of the house and came upon this blog. Very interesting comments. Now that I know the actual address I will pay attention! I knew I was close! If the house were given to me I would take it and sell it but I don’t really want to live downtown anyway so I wouldn’t buy it. Thanks Shellie for the comment. I think many people feel similar to you. If the agent cannot sell it, he can certainly give it to me (or you too). 🙂 If you see any “pending” or “sold” signs or talk to the new owner or tenants, feel free to comment back. We’d love your firsthand insight. Thanks for the comment Martha. Wow, that’s disturbing. It’s good to remember real people actually lost their lives. Were they selling Lizzie Borden t-shirts and mugs? The Lizzie Borden Bed And Breakfast has been operating for a long time (and thriving) as far as I know: http://www.lizzie-borden.com. The gift store has a lot of kitchy items, t-shirts, mugs… The company who runs the inn really did go all-out!!! They have regular tours, which my ex-boyfriend and I went on, the gift store, as well as it being a B&B, and I think they may even have seances there (I know they have an ouiji board and guests can use that)!!! lol……… My ex and I were a little bit taken aback at their approach which is kind of coming at it from a kitchy/haunting angle, I guess… I’m just a curious person and am interested in both the Lizzie Borden case as well as the Dorothea Puente Case… I’ve read a book about Lizzie Borden and wanted to go to the house since I was living in Rhode Island at that time and now I live not too far from the Dorothea Puente house and am planning to read a book about that soon… Reading an excerpt of the book, I found out that I met the lady who basically had Dorothea Puente turned in (she lives down the street from me) and I know her son and daughter so it will be very interesting reading the book! I, personally, wouldn’t feel comfortable living there because of things I’ve read; the dead bodies were kept in a bedroom and their bodily fluids soaked through the carpet and floor boards (!!! ), they stopped looking for bodies after seven were found but they’re saying she could have killed as many as twenty-five people so there could be more still buried there (as well as body parts?!?!?!)!!! I will PASS!!! lol……. LOL!!! Wow, I never envisioned a discussion on Lizzie Borden on my blog. 🙂 There is definitely a difference of opinion depending on who you ask. Some people would have no issue with living in a place like this, whereas others wouldn’t dare. I honestly don’t know the intricate details of Puente’s murders, which I’m okay with. I just know she buried them in the backyard. It’s a bit creepy to look at the long driveway at the house now. I would buy this house at a deep discount no problem because it looks beautiful, as long as i am given records that the floor in that room has been completely replaced :). I think i would have it blessed by a priest or pastor from every faith i can think of though even though i am not religious yeah i know that sounds odd but I don’t know i think out of respect and in remembrance of those poor souls that no one cared for. Not saying burt the last victims case worker did not care for him obviously she did as she was the reason everything was found out. I find it extremely sad that so many areon the streets being taken advantage of others like the 2 older ladies who did something similar by taking out life insurance on homeless men then sometimes within a week after opening the policy would then murder them staging it as an “accident”. Once both woman ran over some poor guy more than once. I also have visited the lizzie bordon house its in a not very nice area and a small house I didn’t see a ouiji board lol but we did take pics of the bedroom where the stepmom was found and the couch (a reproduction) where dear old dad died. The place was far from “busy” it seems like it does not make the owners tons of money because it is not owned by an individual its owned by the town historical society. The place is over a hundred yrs old it was going to be sold and destroyed until the town won thus becoming protected by the historical society. Its a piece of history. Every piece of land has history. Recently a family having work done unearthed a childs casket look up baby miranda. Turned out the land was once a graveyard and the fact is regarding cemetaries they can be “moved” 100 yrs AFTER the last burial which was done but also little known fact about graveyards is the ground shifts beneath headstones its a natural thing so say you wanna did up a grave thats 40 yrs old you are more than likely not going to find the casket right there as it will have slowly shifted probably only a few ft or so but it does. Oh look up the pallisades mall in NY! It was built on a graveyard but apparently not all graves were moved, in the parking garage beneath the mall there suddenly started a bulge in the concrete ground. Eventually the top of a mausoleum broke through and its still there but roped off as well as a small fenced area on the rear side of the underground parking with a gravestone which describes the history of the spot this huge mall was built on. Another odd thing about the mall is it sways like a suspension bridge which was not done on purpose and the movement is very slight but sitting in the food court one day my friend said “do you feel that?” Sure enough it seemed to move like a tiny earthquake. Researching it, the mall not only built on a graveyard but surrounding marshland that was causing the mall to sink like 1/4 inch a year or something like that and was supposed to be closed and torn down like 6 yrs ago but oddly its still there! Wow, Beverly. You know your stuff when it comes to crime properties. What an interesting fascination. I appreciate your comments. For reference, I don’t know if you’ve heard of the Homicidal Handyman of Oak Park. He was a serial killer in the 1980s in Sacramento. I noticed a house he killed two people in recently sold. I’m anxious to see if it gets rehabbed or not. I’ll be watching it closely.